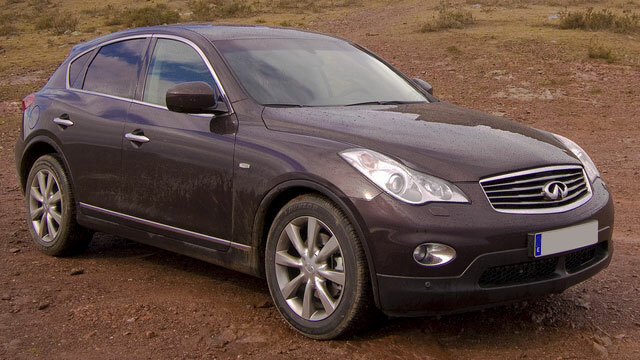 Your Infiniti vehicle is a luxurious investment, and we want to help you keep it that way! You can relax knowing that a professional and experienced technician is working on your vehicle. You will be able to bring your Infiniti car whether it is a G, Q50, Q60, QX50, QX60, or a part of the IPL series, at Kamphaus Auto Care and Emissions and have a professional make sure that your vehicle is running at its best for a reasonable price. Kamphaus Auto Care and Emissions's trained team of technicians is dedicated to helping you to get back on the road safely and quickly. To make sure that your Infiniti vehicle is safe for the road, we suggest that you bring it in for regularly scheduled maintenance. The purpose of these services is to look over the vehicle for signs of wear which may cause problems down the road. This preventative maintenance often saves our customers money in the long run because things were taken care of before a major repair or overhaul was needed. If your Infiniti vehicle does need repair, Kamphaus Auto Care and Emissions' skilled technicians can run diagnostics and repair your Infiniti automobile. Call Kamphaus Auto Care and Emissions today at (630) 504-7702 to speak with our knowledgeable staff or stop in at 1005 Irving Park Rd. Hanover Park, IL, 60133 so that we can schedule an appointment for your next Infiniti repair.